ASSET PLANT & MACHINERY OFFER ONE OF THE LARGEST SELECTION OF ENGINEERING, FABRICATION, METALWORKING & SHEETMETAL UNDER ONE ROOF IN AUSTRALIA. OUR LARGE MACHINERYHOUSE LOCATED IN DANDENONG HAVE POWER APPLIED TO ALL MAIN MACHINERY FOR LIVE DEMONSTRATIONS. PRESS BRAKES, GUILLOTINES, LATHES, MILLS, DRILLS, BANDSAWS, PUNCH & SHEARS, WATERJETS, PABRAKE FOLDERS, COLD SAWS, NOTCHERS ARE ONLY A FEW OF THE METALWORKING MACHINES WE HAVE TO OFFER. BEST PRODUCTS, BEST PRICE, BEST SERVICE. 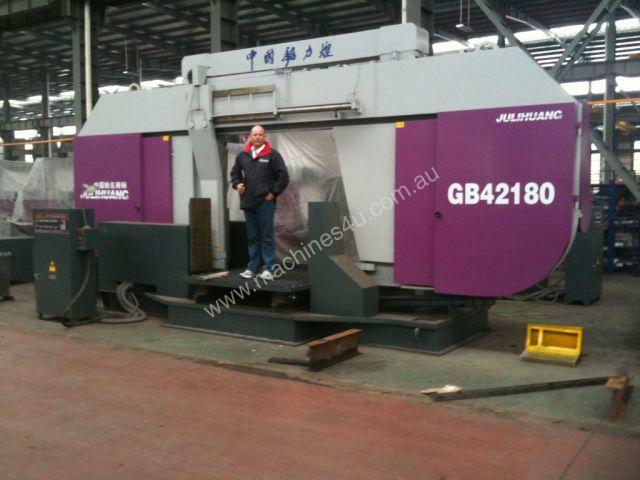 The Super Large Horizontal Bandsaws are Capable of Fast Cuts Upto 2500mm Square. Applications Includes, Castings, Forgings, Ingots, Bundles, Heavy Solids, Large Hollows. Call us with your cutting application.